Along the same lines as Neal’s grading experiences, I’ve also found joy in grading student papers. One of my students wrote about Van Gogh’s early life. He actually sold everything he had to give to the poor, becoming poor himself. So, he spent what little money he had on painting supplies and made lots of paintings about poor people. The were mainly families who were miners and worked in mines. He’d go down in the mines with these peasant workers and observe their lives so he would better be able to represent them in his paintings. 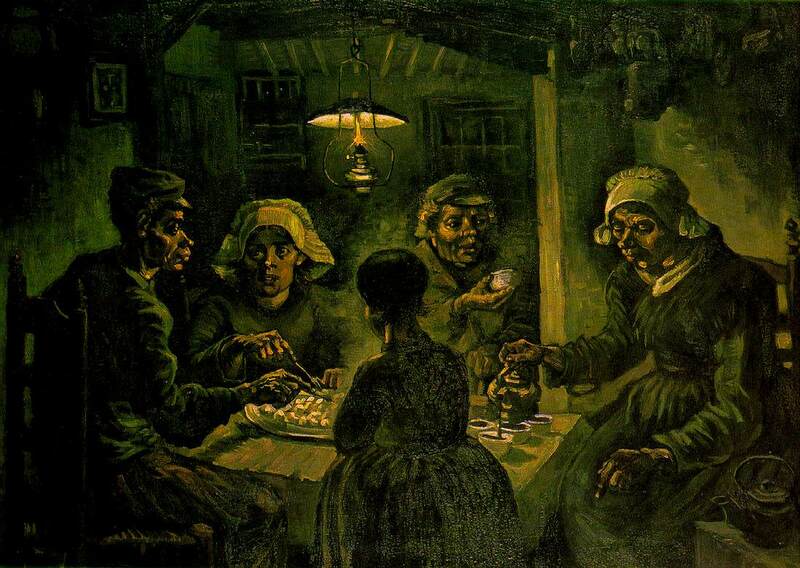 His most famous of these early works is The Potato Eaters. Anyway, my student kept spelling the word “miners” incorrectly by writing “minors.” Heh heh. So, I got to read about all the poor minors working in the field and eating potatoes. Oh, the mental images abound. Heh heh.